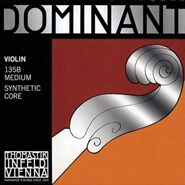 Thomastik Dominant Violin set: 4/4 size, with ball end steel E & alum. D, medium gauge. 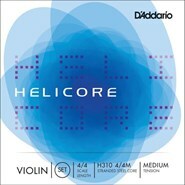 With D129 E, D131 A, D132 D, D133 G.
Pirastro Tonica Violin set: 4/4 size, Synthetic core, medium gauge. Tonica strings have a core made from nylon. They produce a lively well-rounded sound, perfectly balanced across all four strings. Responding instantly to any bowing style, they reward both player and listener with an open and direct sound. With a highly responsive left-hand feel, Tonica strings remain very easy to play all the way up to the highest positions. 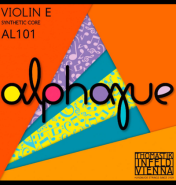 We recommend these strings for our Jay Haide instruments. 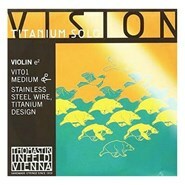 Thomastik Vision Titanium Solo Violin set: 4/4 size, synth core, mittel gauge, with VIT01 (titanium E), VIT02 (alum/ synthetic A), VIT03 (silver/ synthetic D), VIT04 (silver/ synthetic). 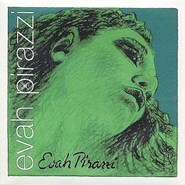 Pirastro Evah Pirazzi Viola set: medium scale size, synthetic core, medium gauge. Steel A with removable ball end, Silver D, G, C.